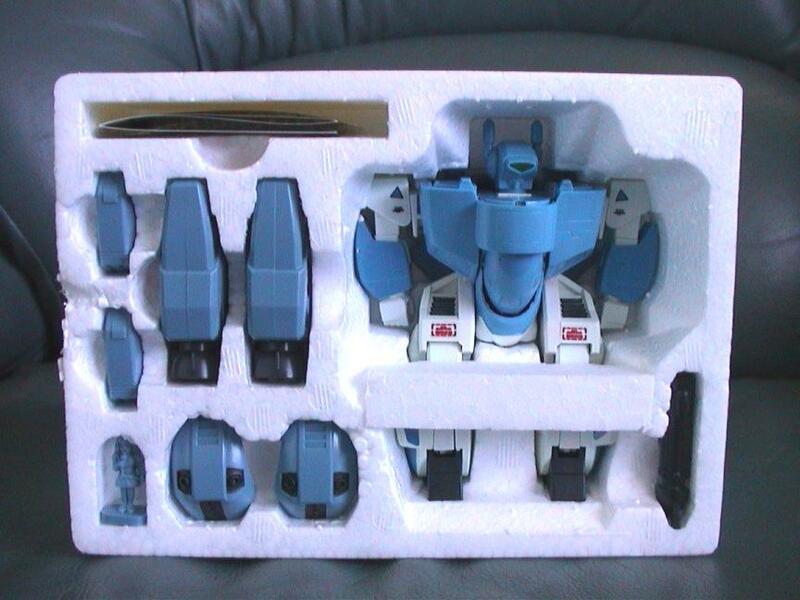 Released in 2002 with a bunch of other Toynami produced Robotech product, the Super Deformed Veritech’s ended up as peg warmers very quickly and ultimately in the clearance bins of most specialty stores. 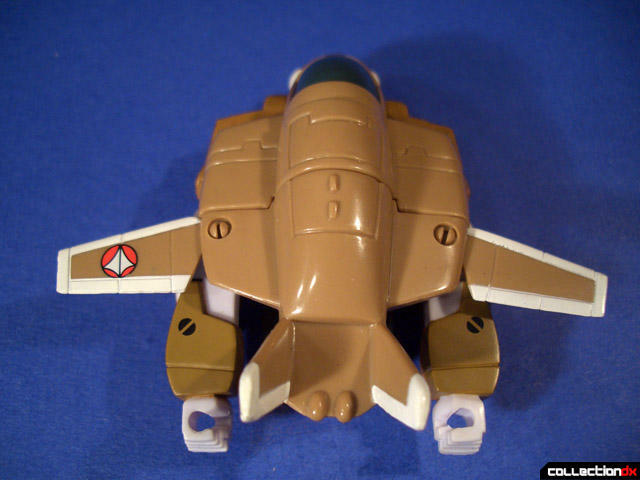 The figure transforms between Fighter and Robot mode and isn't designed to hold any sort of Guardian mode.In fighter mode it has pull back motorized feature to make your fighter fly along which is not a feature that has ever impressed me in a toy. Paint detail is ok, it's not great and it's not horrible. 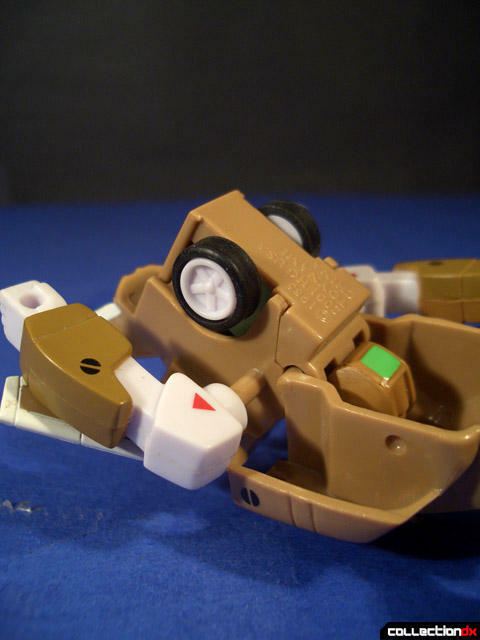 Articulation is almost non existent and the arms and legs are loose, as are the wings. I realize that this is just supposed to be a “cute” toy but I don’t really think it’s cute or fun and feels kind of cheap for the original retail price. Even on clearance it’s a waste of money. If someone tries to give you one, say no. If they insist on trying to give you one, take it … then throw it out when they are not looking. It is better to spare their feelings than ridicule their taste in toys. 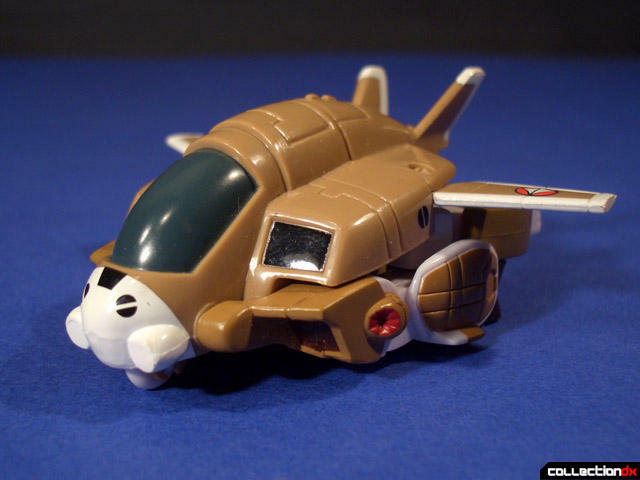 Sorry Toynami, you probably should have re-released the old Bandai Super Deformed toys or at least taken more of a design nod from them. You said that you bought it for a discounted price. How much exactly? Out of proportion even for an SD? Yeah. Ugly? Mnn... no. But I never wanted one. I picked one up in a bargin bin for $5.. Its okay. Those pictures pretty much tell you how rigid the thing is, and the legs have to be separated a bit to hold a stable standing pose. 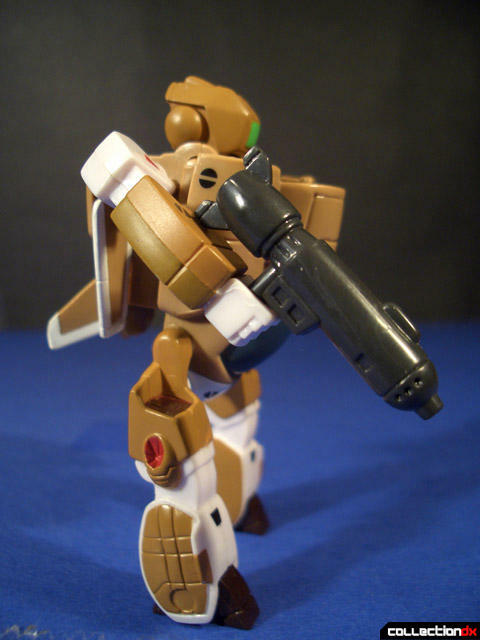 On mine, the legs are fairly tight & the arms are able to hold his gun in the air no probs.. but the wings! They flap about like no ones business. I agree with the pull back motor too.. whats the point? I'm a fan of those SD gundams so i thought this little VF-1A was kinda cool so I don't regret buying it. If there was a Bandai SD veritech next to it on the shelf I would have picked that up, but its not bad for a desk toy you can happily leave at work.